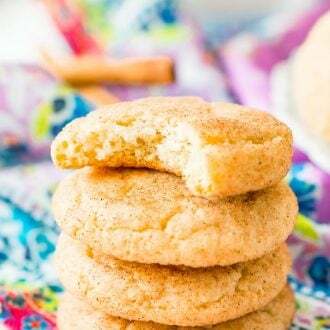 This Snickerdoodle Cookies recipe yields thick and chewy cookies that are sweet, tangy, and coated with cinnamon sugar. 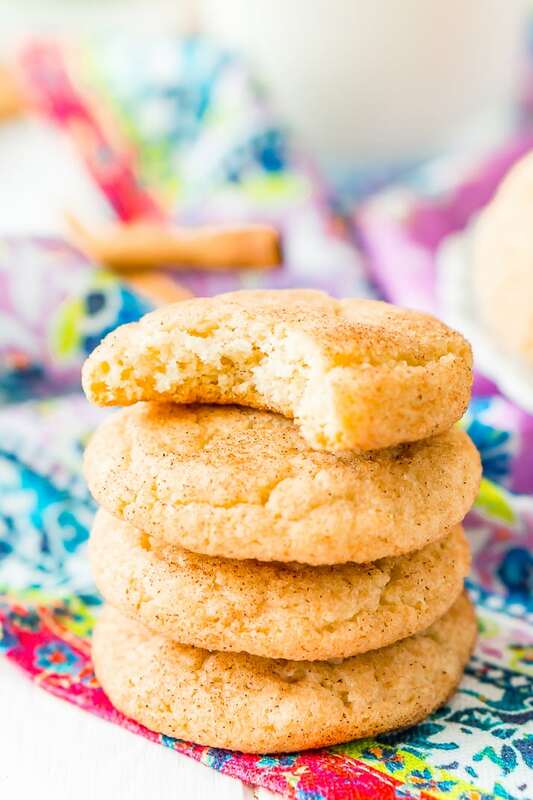 Snickerdoodle Cookies are the perfect mix of sweet, spice, and everything nice! Can’t get enough cinnamon this season? 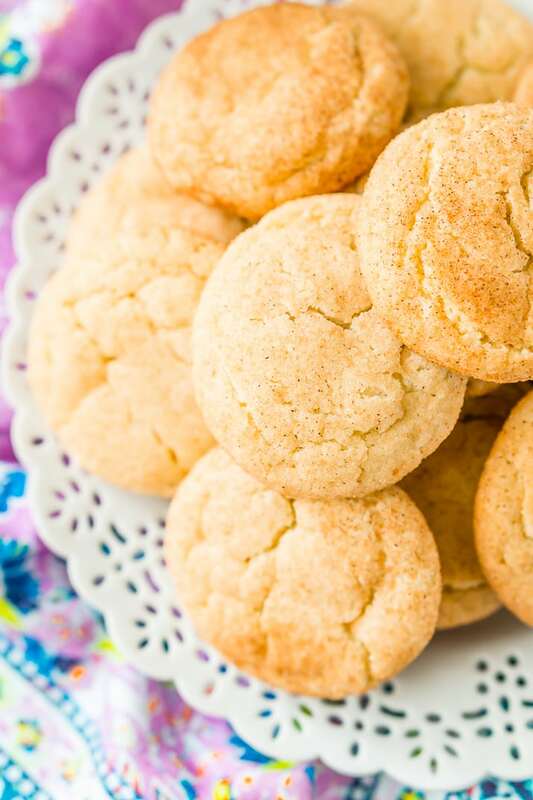 Me neither — that’s why I have to share this scrumptious Snickerdoodle Cookie Recipe with you! These tasty treats will conquer all your cravings: your sweet tooth, your cookie fix, and your need for warm, nostalgic fall spices. JUST TAKE ME TO THE SNICKERDOODLE COOKIES RECIPE ALREADY! 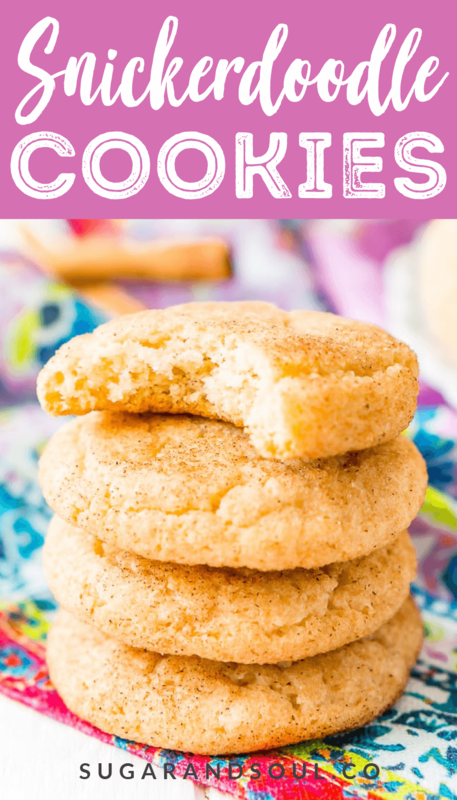 If you’d rather skip my (very helpful, I think) tips and tricks, essential cooking info, and similar recipe ideas – and get straight to this deliciously easy Best Ever SNICKERDOODLE COOKIES Recipe – simply scroll to the bottom of the page where you can find the printable recipe card. 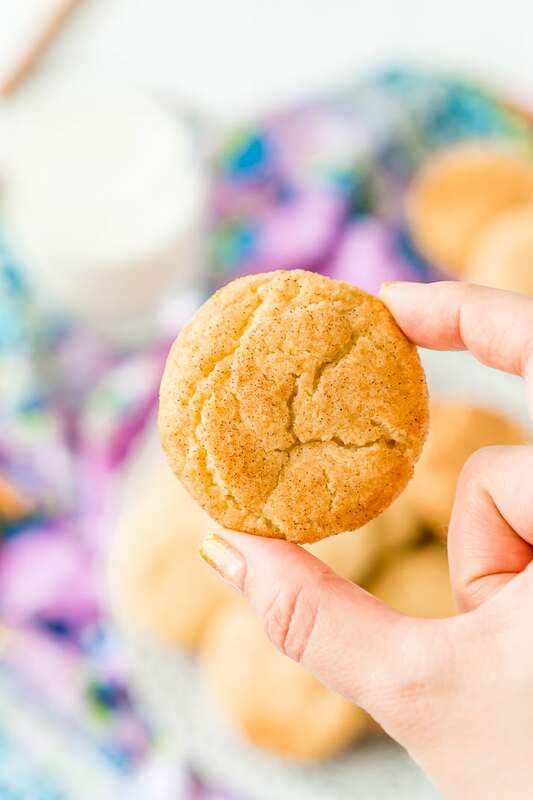 This Easy Snickerdoodle Cookie Recipe calls for less than 10 ingredients and bakes in just 8-10 minutes. The step that takes the longest is the 30-minute chill time, which happens to be just long enough to catch up on the newest episode of your favorite show, amirite? To make Snickerdoodles, you need butter, sugar, flour, cream of tartar, baking soda, salt, vanilla, and an egg. Once you mix up the dough, you’ll be tempted to take a bite, but try to resist. While everything is out, you can whip up a batch of this eggless Edible Sugar Cookie Dough, instead! In a large bowl with a hand mixer or stand mixer fitted with a paddle attachment, cream the butter and sugar on high for 1 minute until the mixture is pale and fluffy. Scrape down the sides and add in the egg and vanilla extract and mix just until combined. In a separate large bowl, whisk together the flour, cream of tartar, baking soda, and salt. Add the dry ingredients to the wet ingredients in three different parts, mixing between each addition. Scrape down the sides a needed and mix until fully incorporated. Chill the dough for 30 minutes before shaping. Meanwhile, mix together the sugar and cinnamon for the coating and set aside. Use a tablespoon-sized cookie scoop to measure the dough, roll into balls and then roll each ball in the cinnamon sugar mixture before placing on the cookie sheet. Place cookies 2-inches apart and bake for 8 to 10 minutes. Let the cookies cool on the baking sheet before transferring to a cooling rack. Cookies will be very warm and soft. But when you smell the sugary, cinnamon-filled aroma of these Snickerdoodle Cookies baking, you won’t regret it. 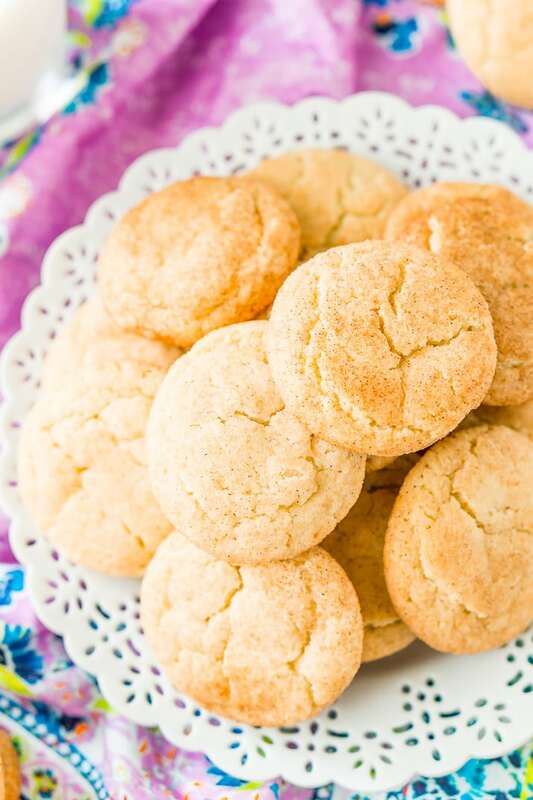 Nothing is as welcoming as the scent of fresh-baked Snickerdoodles, and if you want to make a good first impression on guests, you might want to try this recipe! Make some thick and chewy Snickerdoodle Cookies for a mid-afternoon or after school snack, or for an after-dinner treat. They’re also perfectly shareable at fall parties, get-togethers, football games, or bake sales … after all, there’s no bad time to have a cookie. Ever wonder why they’re called “Snickerdoodles,” anyway? One thought is that the name comes from the German word schneckennudeln or the Dutch word snekrad, both meanings having to do with snails. Another theory? The word is just made up. Whatever the case, Snickerdoodles are classic for a reason, and that’s because everybody loves them! 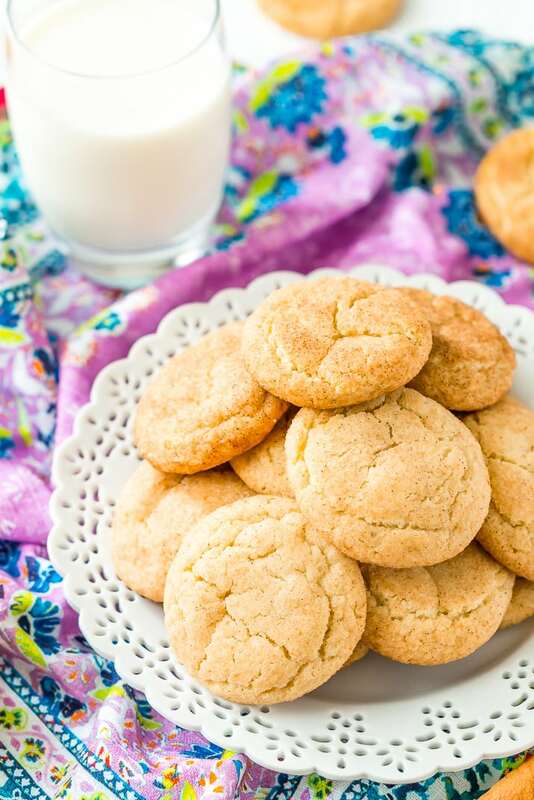 Pin these Snickerdoodle Cookies for Later! I just made these today, and they are AMAZING! Easily the best Snickerdoodles I’ve eaten. I’m so glad you enjoyed them, Nunu!